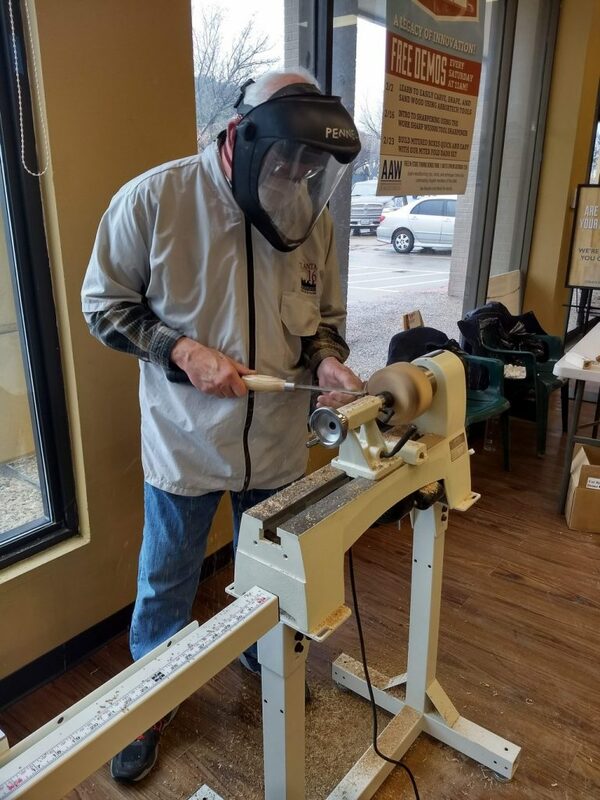 Four of our own Dallas Area Woodturner members participated in this event on February 9th, 2019. 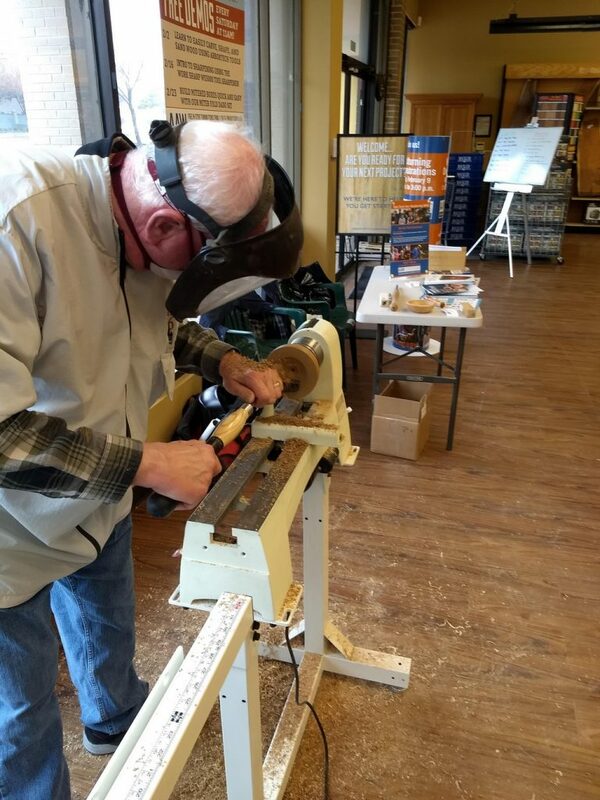 Both Tod Raines and Henry Pennell demonstrated at the Rockler Store in Richardson, TX as Jeff Edwards and John Holderman proceeded to the Frisco, TX store. 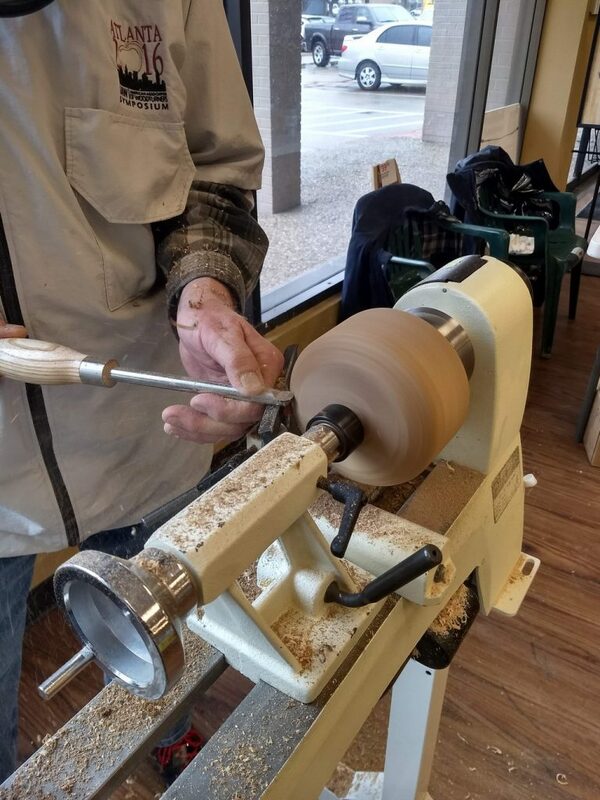 Each team of two shared there turning skills with the public to encourage woodturning and to highlight the advantages of membership to the American Association of Woodturners and to our local chapter – DAW. 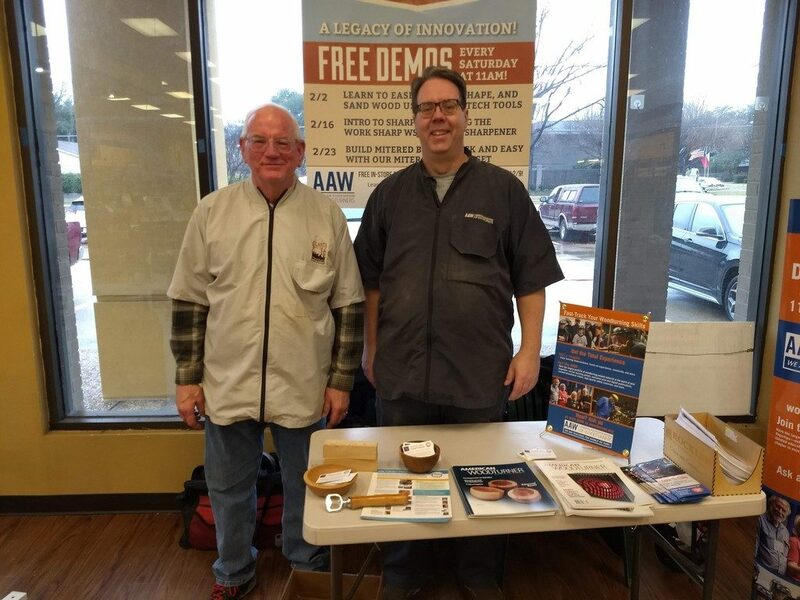 Each demo location was outfitted with several items for free distribution including copies of the American Woodturner magazine, pamphlets, flyers and membership applications. We also had DAW business cards to hand out. These business cards detail our web address, and physical address and timing of our monthly membership meeting. A very handy way for newcomers to find us at the right place and time. 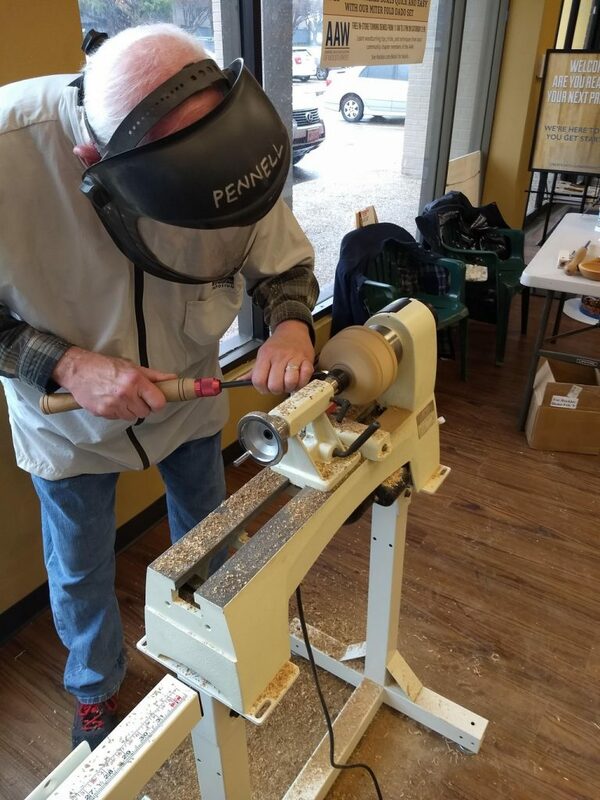 As we turned the other was helping onlookers to understand who we are and what the woodturning community is all about. There was also plenty of discussion on what and how the turning was proceeding. 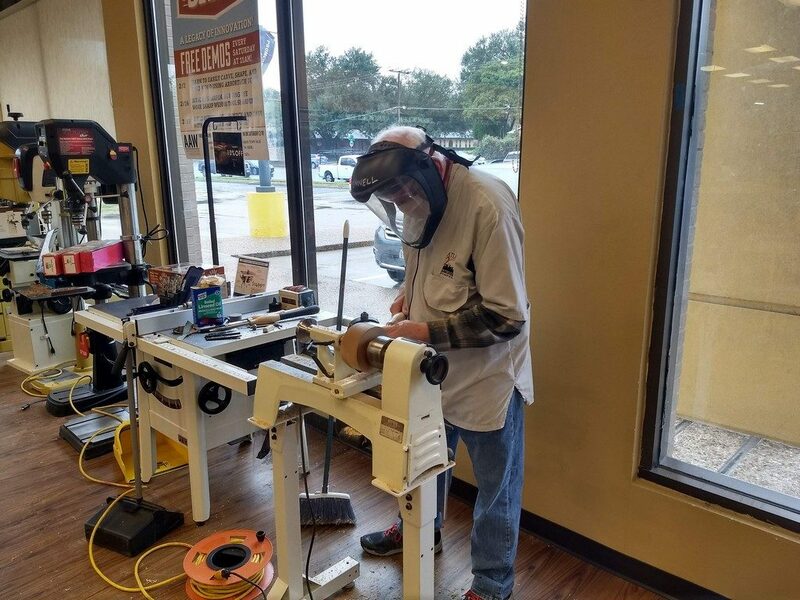 In the photos above Henry is making a bowl out of elm. 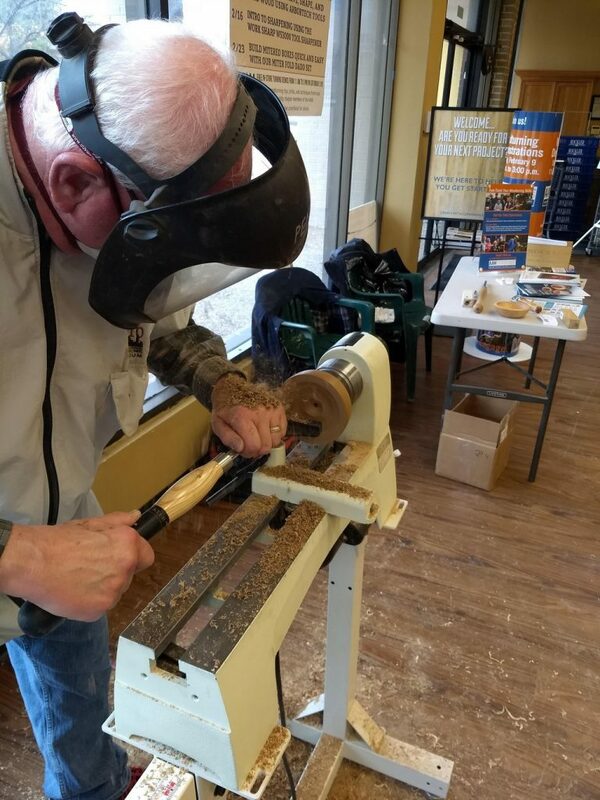 He used both carbide and traditional tools. Earlier that day Tod completed a bottle opener handle from canary wood and a small bowl out of curly maple. This was a great start to the year for community outreach both for the AAW and our own club. We hope to see some new faces at our club meeting in February. To learn more about this event click here for the AAW article.